These features and other purchasable extras like desk phones and additional services are all available as part of six different pricing plans: three are based on usage and therefore better for smaller businesses, while the other three work on an annual basis well-suited for offices. All of these plans come with a 14-day free trial, a 30-day money back guarantee, and 24/7 customer support. At first it is quite hard to get a hold on all the features that come with a subscription, but by doing so you will immediately notice how VirtualPBX’s more than 20 years of experience in VoIP has helped it forge itself as one of the strongest companies in the market. 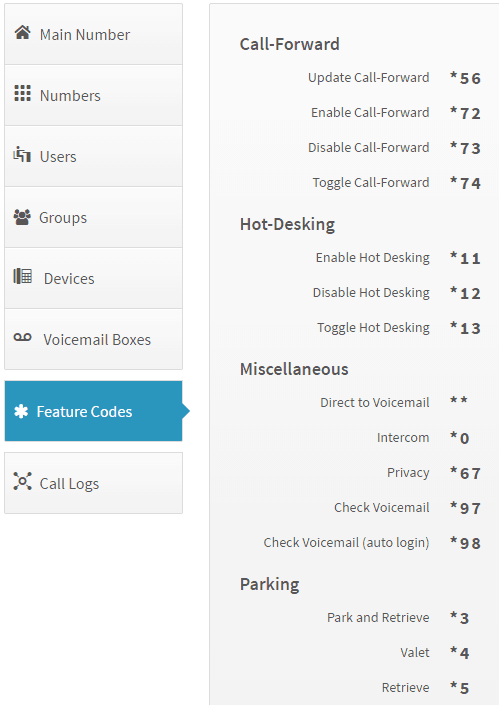 Each of the subscription types all offer the necessary features for maintaining a decent, fully internet-based virtual phone system: auto-attendant, programmable extensions, call forwarding, follow-me find-me, dynamic voicemail boxes, customizable hold music, and many more. However, VirtualPBX truly shines when we look beyond these regular features: an advanced and complementary version of call-forwarding (termed call blasting), connecting to your clients via Direct Invalid Dialing (DID) and the option for hot desking are all available. Additionally, calls within the network are free of charge, and users can make use of intelligent conference calls. And all of this is managed from the simple account dashboard (with options to change to Spanish, French or Russian) or via dial commands using the phones connected to the system. 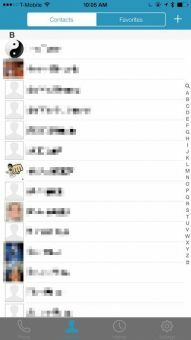 It is in the online account where call groups are set up, users and phone numbers can be managed, or the call log is checked and downloaded. It is here that further elements are stored, too, and is also where caller analytics can be checked, business or holiday hours can be altered, and outgoing faxes can be dealt with. And as a little extra, VirtualPBX provides pre-configured phones and is able to restore your complete virtual phone system in case of damage using its PBX Parachute service. Naturally VirtualPBX has common VoIP system features such as the typical follow-me find-me option, but it accompanies such a regular feature with something unique, namely ‘call blasting’ that rings every single phone number associated with a group of people until someone answers the call. With this it is important to set up ring groups where certain calls are directed only to a particular group of people, while other calls can be blocked completely, too. 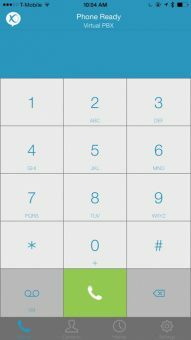 By setting up direct numbers for colleagues VirtualPBX is able to provide Direct Inward Dialing (DID), which means your customers can immediately reach the person they are looking for if the caller knows the direct extension number. If this is not possible then there is (valet) parking, which puts the caller on hold until a receiver can accept the call. There’s also the programmable auto-attendant (with or without a greeting message), which either pushes the caller to an extension prompt or to the dynamic voicemail boxes. Additionally, these voicemail boxes can send emails regarding a caller’s data and even the call itself in .WAV or .MP3 format. VirtualPBX is also capable of handling inbound and outbound calls and transfer them to any extension in your phone network. With hot desking any device connected to your network can be signed into with your account, which is handy if you have to leave your post for some reason. And thanks to the intelligent three-way conference call system up to 300 people can join a conference call with just a push of a button. As is the case with most quality VoIP providers, the account dashboard is simple and straightforward and contains everything you will need – though it is admittedly a little slow. VirtualPBX allows for the customization of the main numbers, the users and groups associated with your network – although manually adding them one by one can take up some time. Aside from this, devices can be added to the network and the called IDs and voicemail boxes of other users can be managed. 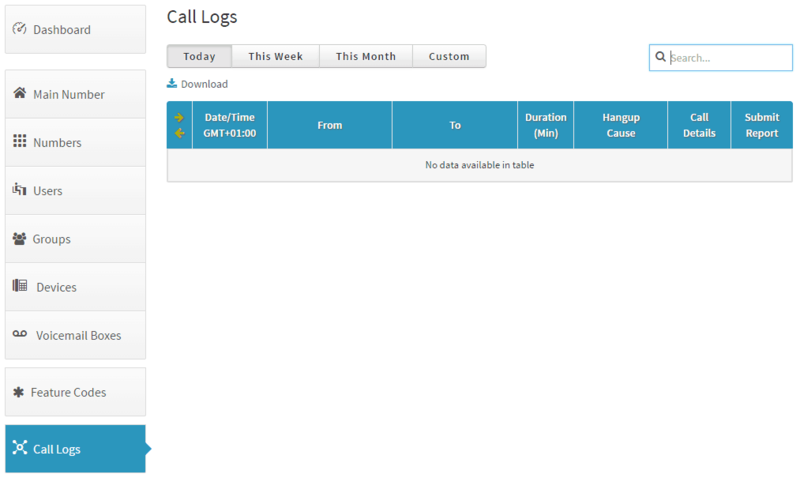 The service helpfully provides the option to listen to call recordings, or survey the system’s call log in a CSV-compatible page. 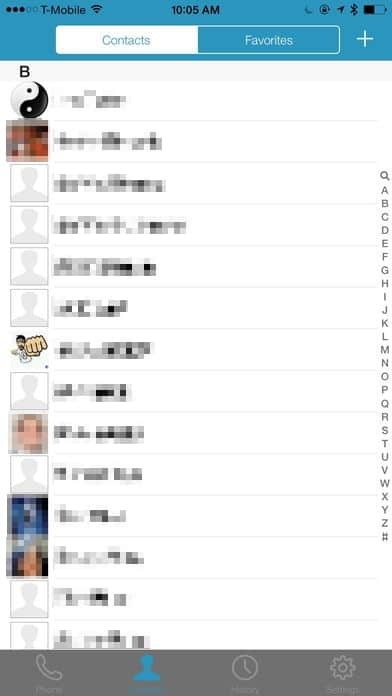 There’s also a cheat sheet for those who’d like to manage their accounts from a phone. When it comes to the different accounts, co-workers can be invited via email and thus they can access their own separate subaccount where each of them can check their own voicemails, call history, contacts as well as make modifications to their data, phone extension number and the email address where voicemails are forwarded to. Sadly if you want to access your account on the go, then that’s not an option as a system management application is only available for Office subscribers using the vConsole portal. However, your account/computer can be turned into a virtual fax machine, meaning that calls can be placed and received without the need of a phone and the computer can fax TIFF or PDF files, too – but only if a fax number is associated to your network. If you want to associate an existing phone number, then this can only be done once the account is created. The company offers the usual phone number types: local, toll-free (including 800s) vanity numbers, and even international numbers. 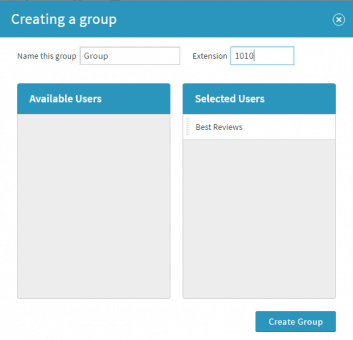 Both subscription types – Dash and Office – offer two local or toll-free phone numbers by default with the exception of Dash Unlimited, which allows users to have three numbers without paying extra. No matter which subscription plan is chosen, as many sequential phone numbers as you want can be set as your main, conference or fax number since the company lets you pay for only those phone numbers that are actually in use. However, each additional phone number above the ones included in the subscription comes with a price: number porting is $25, extra local and toll-free numbers for Dash users are $4.99 per month per number, while international numbers are $19.99 per month. 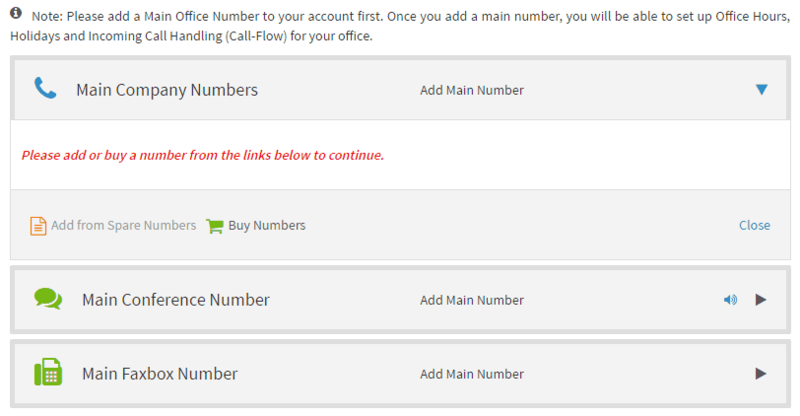 In case of Office subscriptions, new numbers are $5.00 per month per additional phone number, but new vanity and true 800 phone numbers cost $30. Unfortunately there is a huge problem regarding the mobile app for VirtualPBX: the dashboard can only be accessed by those who created their accounts before 2012 or who have an Office subscription. 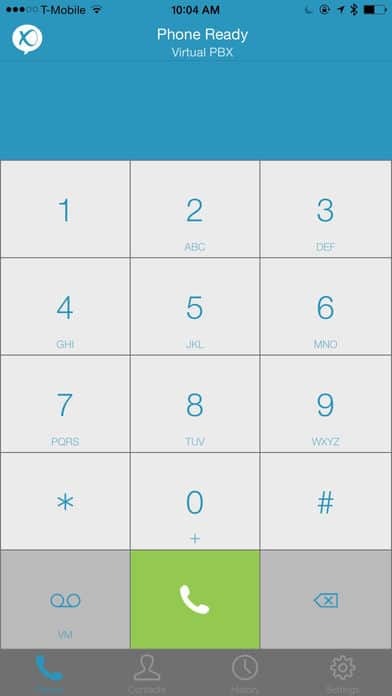 However, before we properly detail the VirtualPBX Phone app – which has been developed for iPhone and Android and available to those with Dash subscriptions – there is a satisfactory solution for the above problem, since the site itself seamlessly adapts to mobile screens so it is possible to simply use your mobile browser to access your account. 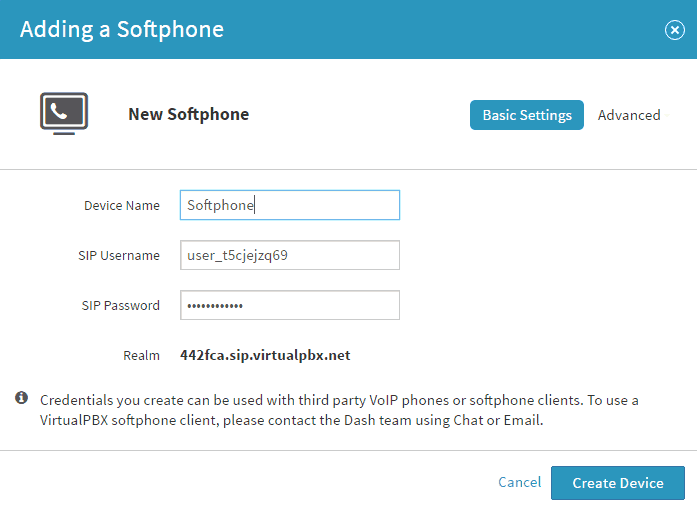 As for the VirtualPBX Phone app itself, the good news is that it can turn your phone into a softphone. This way any compatible mobile device can be added to the list of devices in your account, through which it will become possible to place and receive calls, get notifications and such all for better prices than your regular mobile subscription. Unfortunately, this does have a disadvantage, too, as the app doesn’t offer a true interface for managing your account. Although integration with other apps is not VirtualPBX’s forte, at least there is a nice solution for both Dash and Office users. 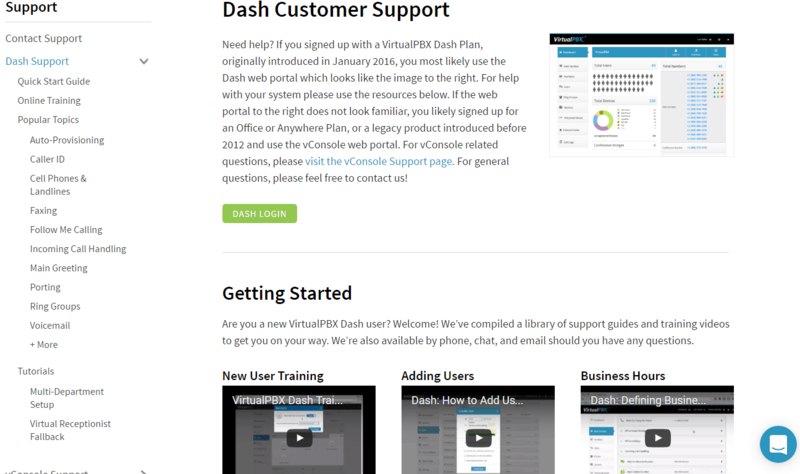 As for Dash subscribers, the only available integration is Salesforce: by choosing this option your VirtualPBX desktop softphone is connected to the CRM to evaluate the effectiveness of your campaigns, teams and individuals. Although this integration is available for all Dash pricing plans, it is a pay-only feature. Office subscribers, on the other hand, can only integrate Dropbox into their accounts. 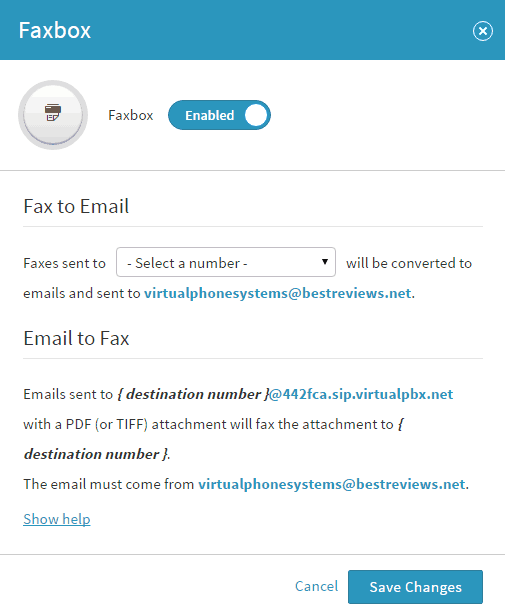 Like we mentioned before, TIFF or PDF files can be imported and sent as faxes, while the only thing that can be exported from VirtualPBX (as a CSV file) is the call log. The latter option is completed by the call record export to Dropbox, which is only available for 14 days before the record is deleted. Aside from offering various desk and conference phones from $69.99 and the Concierge Service for account/network setup and management at $99, VirtualPBX offers three versions of Dash, its flagship product: Basic, Pro and Unlimited. Dash Basic is only $10.99 per month on an annual basis for 2–99 users, including 1,000 minutes, unlimited VoIP minutes between system users, two phone numbers, and a fee of $0.049 for each extra minute. 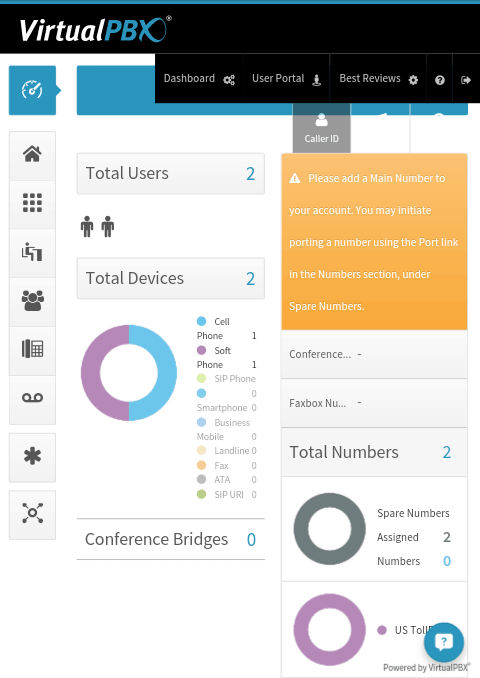 Dash Pro ($21.99 per month) brings 2,500 free minutes, audio conferencing, and the CRM integration option into the mix, while Dash Unlimited raises the maximum amount of free phone numbers to three and provides unlimited calls for U.S. and Canadian numbers for as low as $27.99 per month. The prices of Office subscriptions vary between $19.99 and $33.99 per month (for one year) depending on the number of phone lines. With the latter there is unlimited minutes, two numbers and Dropbox integration. Keep in mind that call recording is available, but in case of Dash subscriptions this is an additional $19.95 per month ($9.95 for Dash Unlimited) plus $4.99/GB for upgrading the default 1GB storage space, while unlimited call recording for Office plans is $19.99 per month. But regardless of your subscription, there is always a 14-day free trial and the option to get a full refund if you terminate your account within 30 days from subscription. The customer support of VirtualPBX is quite impressive due to its availability and variety. If you need immediate help, you can contact the personnel every day via email, a local and international phone number and live chat. No matter which contact method you choose there are always prompt answers, but keep in mind that customer support is only available during business hours and getting answers may take longer than expected. If you want immediate answers beyond business hours, you can always read the up-to-date blog, leave a message on the company’s Facebook, Twitter, or LinkedIn page, or turn to the plentitude of written and/or audiovisual tutorials on the site. Furthermore, if you want to stay on top of things, you can ask the company for weekly webinar-style training as many times as you want. If you are convinced by the company, VirtualPBX allows you to refer its services to as many people as you want; if they subscribe and stay, you will be rewarded with an account credit up to $250. Despite a few questionable things, VirtualPBX’s services are without a doubt ideal for those looking for a reliable virtual phone system provider. Its biggest fumble is that despite doing the basics right, many features are available only when paying extra. 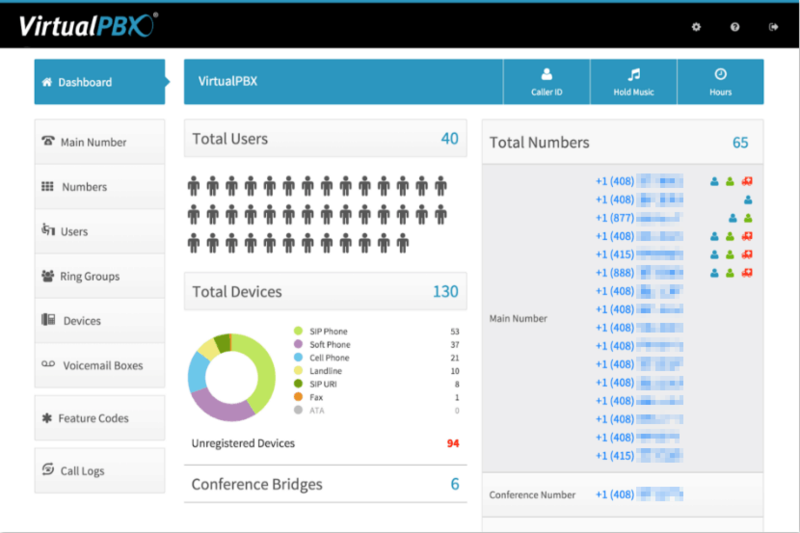 However, VirtualPBX still manages to stun its users with many extraordinary features: follow-me find-me with a call blasting function, intelligent three-way conference calls, free of charge intercom, advanced call transferring, hot desking and the list could go on. All of this combined with flexible device management from a simple dashboard, the scalability of your Dash or Office subscription and cost-friendly pricing proves that VirtualPBX is worth checking out. 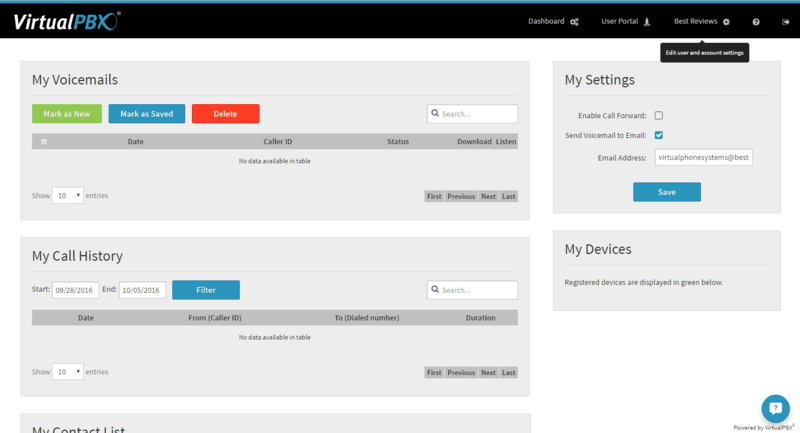 I have been very happy with VirtualPBX. I use their service for my business and enjoy the flexibility with features such as Follow-Me Routing, Outbound Calling, and Audio Conferencing. No matter where I am located around the country, I can rely on Virtual PBX to recreate my office on the go. We have been using Virtual PBX for our entire company for a couple of years now and my team would be furious if we had to go back to the days before Virtual PBX! 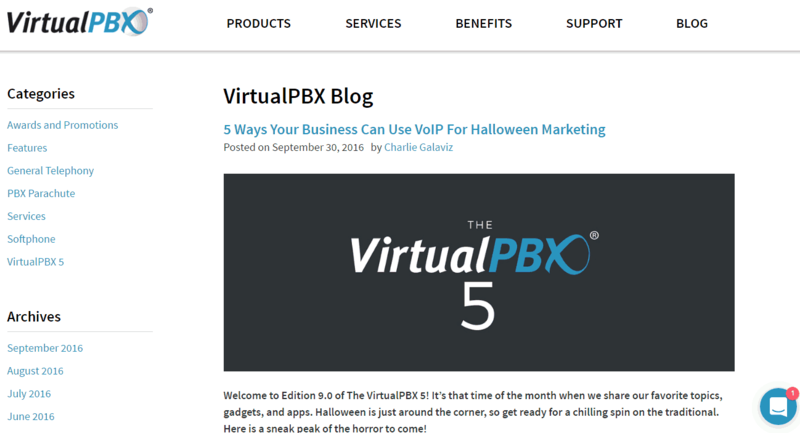 I’ve been with Virtual PBX for almost 4 years. As a small business owner, I truly believe they have helped me grow my business. I used another service before but they were lacking in technology and they were more expensive. These guys are top notch. I’ve recommended them to my brother (who’s self employed) and to my best friend, who started a HVAC company. I have the same complaint as Monica. I have had the WORST experience with this company and will be switching in the next few days. Their support is TERRIBLE and has rarely given me a response with multiple support tickets opened. so I will be switching to some company named comvoice which seems like a little more money but their technical support ACTUALLY responds to people who have an issue. My business has taken a hit with this poor service and I guess I blame myself for not doing the research first. Being able to reuse our current office phones was a big one for us, and VirtualPBX offered us one of the best solutions in this regard. Hooking different people up to the system so they can set up their smartphone and office phone as they want works great and made all of our lives easier. The online faxing is a welcome extra to us since we never had a fax before but sometimes suppliers request us to send or our orders through fax. Good rates for international phone calls and easy handling of all the different call forwarding etc. The connections of the phone lines are stable, calls get forwarded quickly. 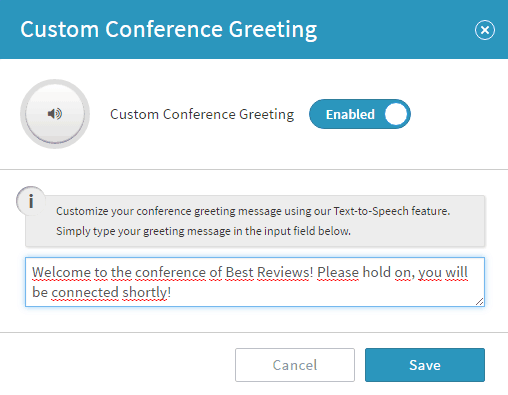 The free conferencing feature is nice to have and comes in handy, but isn’t as advanced as say Webex or GoMeeting. 24/7 tech support is non-existent. I’ve tried calling outside their business hours and on holidays – no one answers. Don’t bother leaving a message as it could take 2 days to get a response. That’s not ideal when you can’t make or receive phone calls at your business.